Why does he ALWAYS talk about some friend who died playing or was in jail or something? he just starts every sentence with that. Two times = every time. Yep. 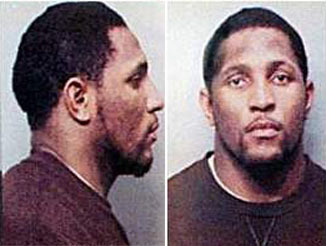 Is it just me, or does Ron Artest look just like Ray Lewis? Visit Raj Da Dodge's homepage! 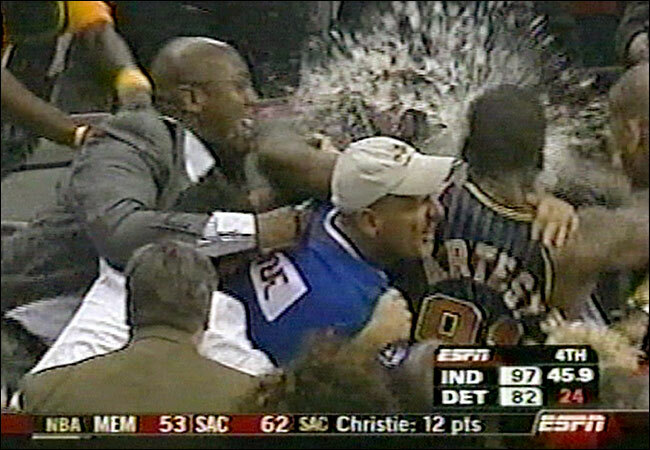 He didn't want no parts of Ben Wallace. C-Webb made fun of him and in this vid Ron is basicly asking him: "why make fun of me? I respect you, so why dont you respect me". I like that. 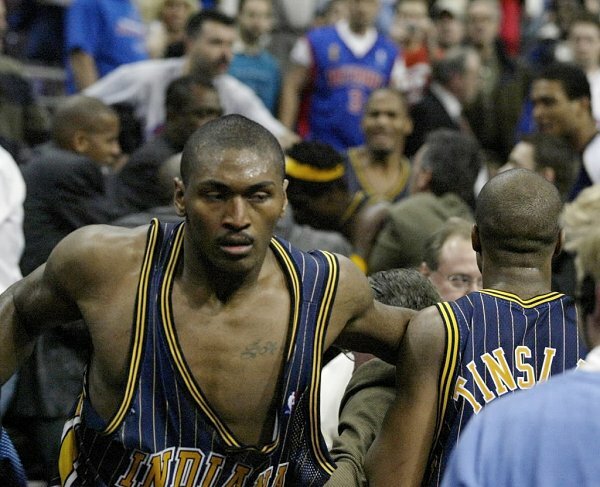 there are a lot of reasons people wouldnt respect Ron Artest? Im not saying they are valid but a lot of people dont respect him. Steven Jackson is the one to scare you. Ron will throttle you for a moment, but quickly chill and probably hang out with you. Thank you. Big Ben got in that azz and Ron went and laid on the bench. He'll fight fans and camera men, lol. But another brother? Hmmm. I'll believe it when I see it. Jax on the other hand is straight gangster.